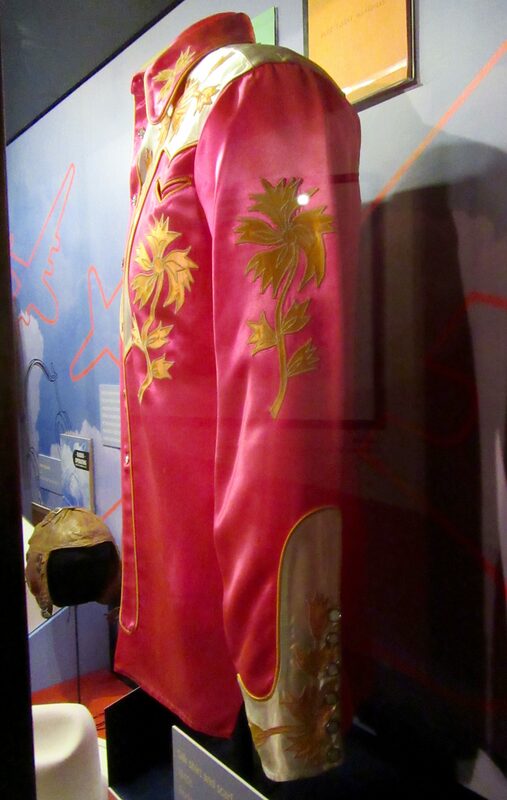 One of my favorite museums to visit when I am in L.A. is the Autry Museum of The American West, located in Griffith Park, which was co-founded by singing cowboy actor Gene Autry. Autry built the museum, which opened in 1988 (ten years before his death) to exhibit and interpret the heritage of the West and show how it influenced America and the world. It’s really a fantastic place with a huge collection of Old West memorabilia, movie props and costumes, western-inspired toys, Native American artworks and artifacts, galleries full of antique fire arms, and rotating exhibits that are both fun and educational. I cannot recommend it highly enough for any tourist, and if you live California, you simply must go. Autry became a Sergeant in the US Airforce and served as a pilot and Flight Officer during World War II. 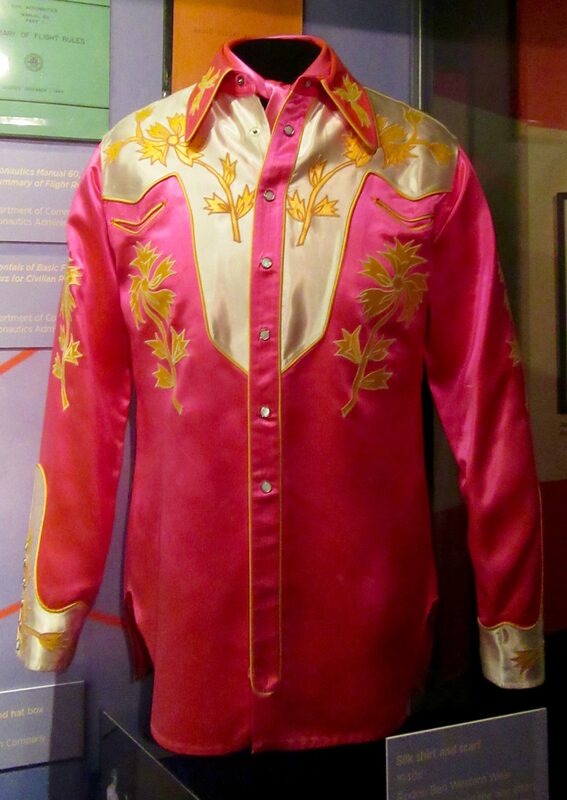 While in the service, he continued to perform and wore this Pink Silk Shirt by Rodeo Ben Western Wear (circa 1940s) at U.S. Bond rallies and as a USO performer. It’s amazing that the shirt is so well preserved and is still in excellent condition nearly eighty years after its creation. ← Brownie Brittle Introduces New Chocolate Almond Variety Plus Thindulgent Sandwich Cookies! Thank you Gail for posting this with all the first hand descriptions. My dad served in exactly the same rank and position in the Air Corp in WWII as Mr Autry. He was his hero and favorite singing cowboy. We always heard his Christmas songs. My aunt told me the story of how he would sing Autry’s tunes out at the barn.